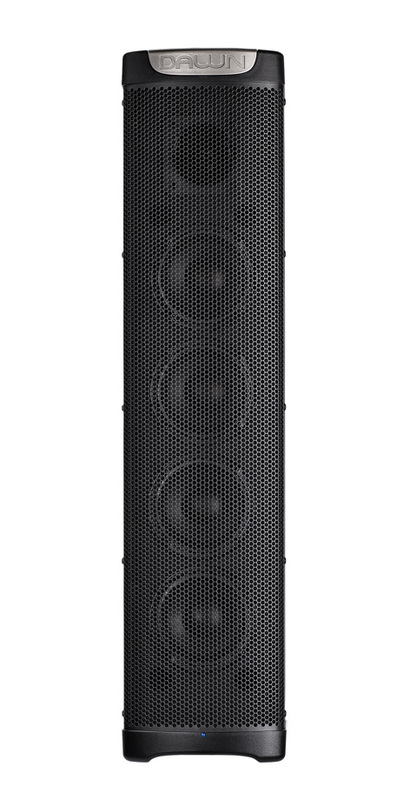 The Dawn T100 Speaker Tower provides excellent sound clarity and quality in an extremely mobile package. 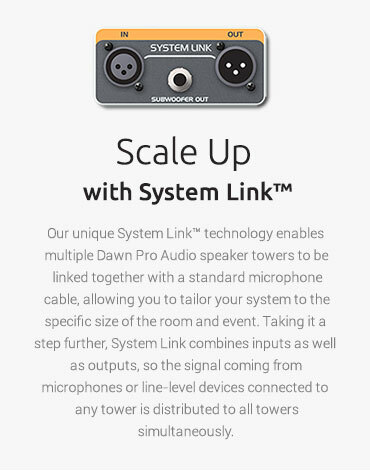 The low profile and lightweight design allows for ease of set up and integration and it can expand to meet your needs with it's unique 'System Link' feature. 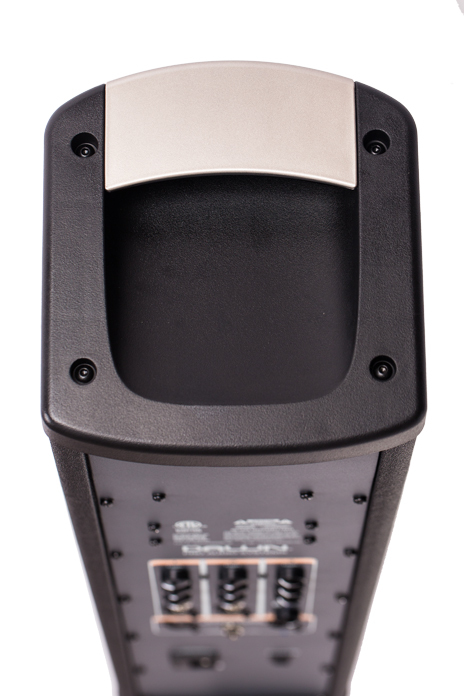 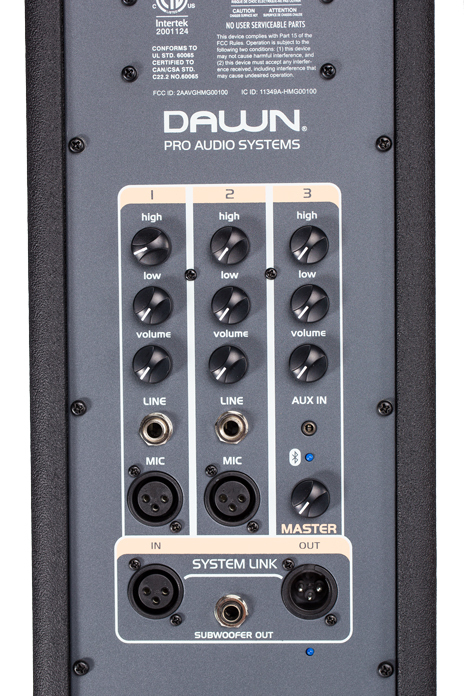 © 2015 Dawn Pro Audio Systems, All Rights Reserved.